At Knowledgeone Corporation we are dedicated to making sure you get the most out of our solutions by offering our customers complementary third party products. Knowledgeone Corporation acknowledges the benefits of barcoding file folders, documents, scanned images, boxes and storage spaces. Therefore, Knowledgeone Corporation products contain the functionality to support either manual entry or system generated barcoding. When a file is created, a barcode number can be system generated or a barcode can be scanned in manually using a fixed reader. When a document is entered, the barcode that has been placed on the document is scanned in using a fixed reader. When a document is being scanned using one Knowledgeone Corporation's high speed scanning modules, the barcode becomes the link between the image and the document profile. When creating a box, a barcode label that has been placed on the box is scanned in using a fixed reader. As all files, documents and boxes move from one location to the next, the relevant barcodes are scanned so that RecFind or Knowledgeone K1 will be updated with the location and the current date and time of the movement. Should files move from one location to the next without being tracked in the correct way, they can be picked up by conducting a file audit. 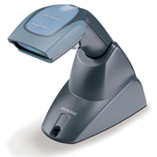 This is conducted by using a portable barcode reader to collect data throughout the organization. This is then uploaded to either a RecFind or Knowledgeone K1 database. After checking the information that is recorded in the database and the information that has just been uploaded, RecFind or Knowledgeone K1 will automatically update the location of those files which have moved. Furthermore, RecFind or Knowledgeone K1 have the functionality to create a storage facility and to track the spaces within. Barcoding can be used to track the movements of boxes in and out of, and within the storage centre. Through the simple use of barcodes and readers, boxes and the objects within them, can be found easily. Accurate information relating to the amount of free space within the storage centre is available at anytime, providing a low cost and superior solution for archiving. From an internal Registry and a small in-house archiving facility to a full scale warehouse, RecFind and Knowledgeone K1 are the obvious choice for price and reliability. From fixed and cordless readers to hand held portable readers, Knowledgeone Corporation can provide an advanced solution to your barcoding requirements through its relationship with Datalogic. Bundled kit includes Touch 65 & cable. Note: Suitable for situations where barcodes do not exceed 65mm in width. Bundled kit includes Touch 90 & cable. Note: Suitable for situations where barcodes do not exceed 90mm in width. Hand-Held Reader light weight and ergonomic, Intuitive aiming in hands-free applications, Datalogic "Green-Spot", Linear and RSS bar code decoding; stand for hands-free operations included. The Datalogic Portable readers are excellent quality and are provided with specifically written software enabling the units to interface with either RecFind or Knowledgeone K1. They are delivered ready to go. Bundled Kit BSK  F734 1mb memory includes F734 laser terminal, F951 optical transceiver/charger, Power supply, 9 pin serial cable, and full interface software to work with RecFind or Knowledgeone K1. For further information or a quote contact sales. To complement the range of barcode readers, Knowledgeone Corporation can provide customized barcode labels for files, documents, boxes and space management. These are competitively priced and of a high quality. Labels can be supplied either laminated or non-laminated. Knowledgeone Corporation is proud to announce that it is now the Australasian distributor for the Smead ColorBar file label printing software. ColorBar is a label design and printing application that helps maximize the efficiency of your paper filing system. Quickly and easily create labels and folders that include file headings, color coded indexing, bar codes, text, images, and graphics. ColorBar makes managing large filing systems less labor intensive and virtually eliminates misfiled documents. Integrate ColorBar labeled folders into your current filing system with exact visual and color match, or create a new filing system tailored to your organization’s needs. ColorBar is a perfect solution for high-volume filing departments or any company that wants an easy way to generate color coded files on-demand with your PC and color printer. 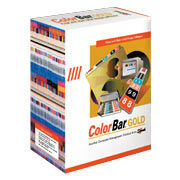 ColorBar is the Rolls Royce of color file label printing software with both designer modules and low cost print modules available. ColorBar is also integrated into the Knowledgeone Corporation RecFind application. This integration allows customers to print file labels directly from within the RecFind Pick List with the click of just one button. Easy-to-use label design and printing tools. True WYSIWYG design and editing. Top tab, side tab or custom label formats. Alphabetic, numeric or custom indexing. Variable-size barcodes, text, lines and graphics. Designs can be one-up or a whole page of labels on a sheet. Color labels can be printed through a color laser printer or for a low cost solution, many desktop inkjet printers are more than suitable. Use with a range of printers - HP, EPSON, Lexmark, Canon, Minolta, Ricoh. In its approach to an overall solution, Knowledgeone Corporation can supply blank stationary for the production of labels for your file folders. These could be used for your standard file labels or for the production of color coded labels, both easily printed from within RecFind or Knowledgeone K1 using the Pick List. The following file formats are currently available in plain paper finish, however can also help you design labels according to your specific requirements and needs. Labels can be supplied in a range of different finishes including plain paper, gloss, laminated and water guard.